Millennials freelancing have an advantage over other millennials that refuse to purchase their own homes nowadays because let’s admit it – rentals and other temporary living options are more convenient and financially practical than spending almost a lifetime financing a home. There are also these arguments that millennials are too deep in student debts and are earning way lower than baby boomers and Gen X-ers but are paying more bills (e.g.rent) because of the current state of the economy, hence further stifling their chances of investing for a permanent home. This is a global issue as shown by this article by Tony Blair, the ex-prime minister of the United Kingdom, entitled Home Truths: a progressive vision of housing policy in the 21st. century. Tony’s article appeared in https://institute.global. You can read this important article here. Specifically, things are looking bad for global millennials – currently, the county where I live, Australia, has the second lowest millennial homeownership rate at only 28% beating UAE’s 26% with only a slim margin. This is according to the article by Michael Bleby that appeared on www.afr.com and you can read here. Michael quoted his source as being an HSBC report. Three of the great drivers of this change is that wages are stagnating, there are historically high house prices and global historically low-interest rates. This is not a good combination! It’s not really because Australians are not given to owning their homes – in fact, 4/5 of millennials in Australia are optimistic about purchasing their homes within a 5-year time frame – the low ownership rate is just a sad aftermath of the constantly increasing house prices. However, for millennials still dreaming of having a home to call their own, there is hope. 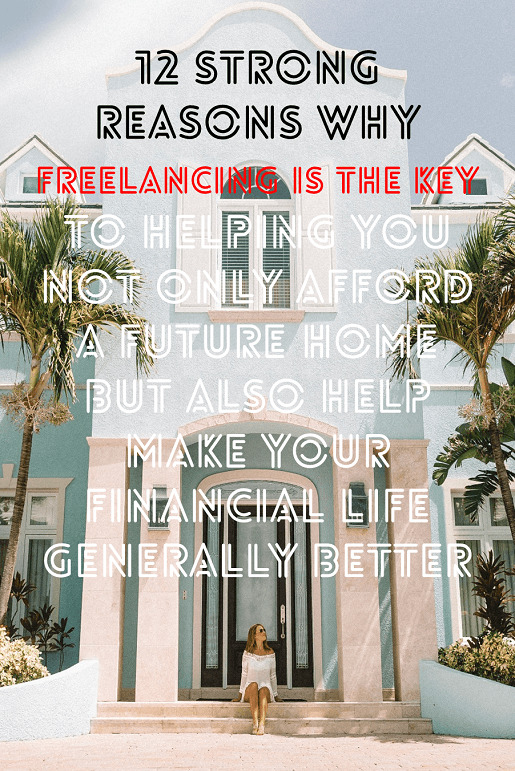 While you may think that it’s challenging to earn more than you do now, there are opportunities you can try to help you save for a home or reduce your existing mortgage – like freelancing, for instance. 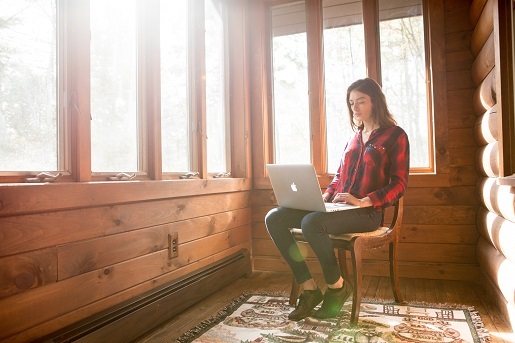 You’re probably wondering – “how is freelancing going to help me afford a home?” Well, for starters, freelancing, as a craft, is one of the best-suited careers for millennials since they are “connected”. If you’re a millennial, you live and breathe technology, which means that you have more opportunities to build your professional network, more opportunities for business, and more opportunities to showcase your skills and talents to companies, people, or businesses that need your specific skill set. Most freelancing careers are highly flexible and are output-oriented rather than time-oriented, that’s why millennials who don’t want to be bound to a 9 to 5 lifestyle can easily take advantage of this. How can this help you afford a home? 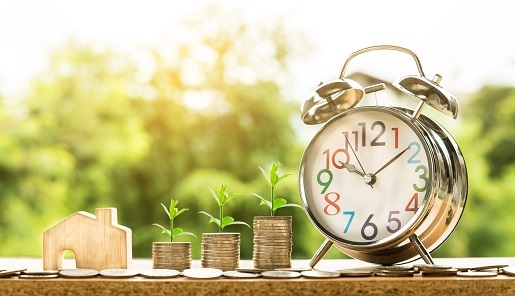 Since you’re not tied to a fixed schedule, you can use your remaining time to score more projects and hence more funds to spend on your future home or your existing mortgage. Millennials, being the most highly educated generation, have the most potential when it comes to intellect and skill. 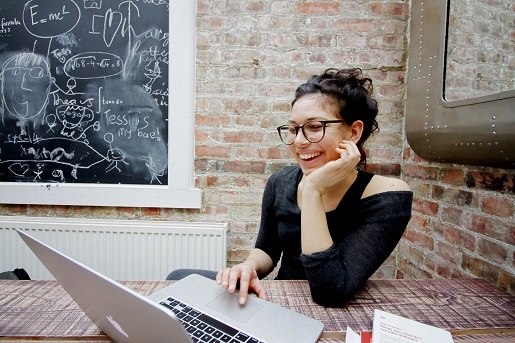 Coupled with the connectivity that technology and social media offer today, millennial freelancers have tons of opportunities before them, whether for entrepreneurship or long/short-term employment. Armed with the proper know-how, anyone can start an online business or find employment even with very low cash out. Millennials looking for opportunities to earn for their future home fund may find a freelancing career the answer to their financial problems. This is, of course, about having a plan as to how to do it, completed your due diligence and not resigned your 9 to 5 job without having trialed your plan. According to the recent Organization for Economic Co-operation and Development report entitled Rising employment overshadowed by unprecedented wage stagnation, makes it clear the outlook for employees’ wages is not good. You can check the report here. It follows that those working for themselves in charge of their own productivity will likely have a higher income, but they also have higher risks. However, they also will have a better chance of home ownership with a higher income. Your salary is equal to the value you are able to provide your employer or company, but in most cases, your salary is usually determined by the company you work for. On the other hand, freelancers have control over how much is paid to them by their clients. As long as you find the right person and as long as you’re able to provide the value expected from you, you can charge as much as you want and therefore earn more. Since most freelancing jobs are project-based, you can earn more for your future family home or single person accommodation. If you finish your tasks earlier, you can take on more projects, and hence earn more. You can also negotiate your pay rates. One of the best things about freelancing is the freedom to work remotely and practically anywhere. When you’re a regular employee, you have limited options when it comes to your future home’s location, since you would need to take into account your house’s distance from your workplace. When you’re a freelancer, where you live wouldn’t be a problem, which means that you won’t have to think about work when planning for a home. You can afford to own your house in places where real estate is cheaper, thanks to your ability to live wherever you want through freelancing provided you have good internet access. 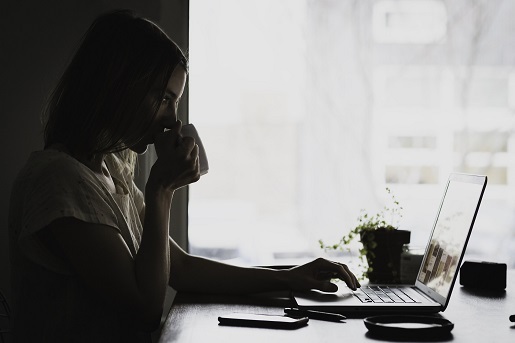 Skip the daily commute or regular drive to your workplace, save money on office wear, and save money on expensive coffee or lunches at work when you go freelance. Since you’re working at home, you won’t need to pay for the daily commute (or petrol when you drive) to work and you can save more on work outfit, meals, and other things. When these savings add up, you’d have extra to spend on your mortgage or at least be able to add more to your nest egg. Millennials with long or short-term home ownership goals should spend time in researching everything about home ownership. Ask about the taxes, interest rates, possible loans, the current market status, and other things that you would need to know before purchasing a home. Make sure you get acquainted with all the responsibilities entailed by owning a home, including possible maintenance, upgrades, homeowners association (HOA) fees, and other “surprise” fees that life may throw at you along the way. If you live in Australia this is the link to the Australian Securities and Investment Commission website page on Buying a Home which you can read here. Yep, this sounds absurd but it’s true! If you want to be able to finance your home in the future, you need to make sure to pay off your student loan now so you’ll have more financial freedom in the future. Paying off your debt now means a lower interest in the future, and perhaps more to spend on your dream home. 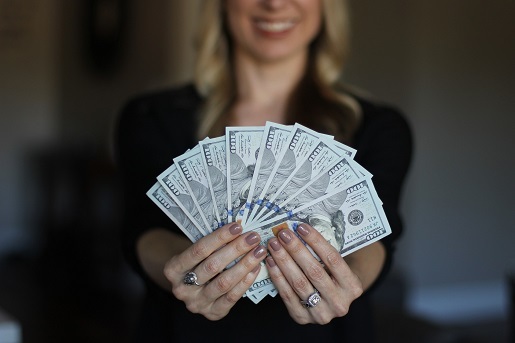 Experts suggest using the avalanche method (if you have more than one loan), where you would pay for the loan with the most interest rates first and pay off the one with the least interest later. If owning a house is at the top of your priorities, whether you’re a millennial or not, you should be prepared to plan your budget carefully and prepare to make sacrifices to make it work. First, you have to know what kind of house is possible for you to afford without making massive budget cuts when it comes to your basic needs (like food, clothing, toiletries, and other necessities). Make sure to purchase a house within your means so you won’t end up in debt later. When you’re finished with the specifics on your home budget, you can also make deliberate budget cuts so you’ll have extra savings along the way. For instance, if you’re a foodie who loves to eat at expensive restaurants, you may want to consider toning down your daily restaurant hoping to maybe once or twice a week. If you think you’re spending too much on premium barista coffee, you may want to try and learn how to brew your own coffee. 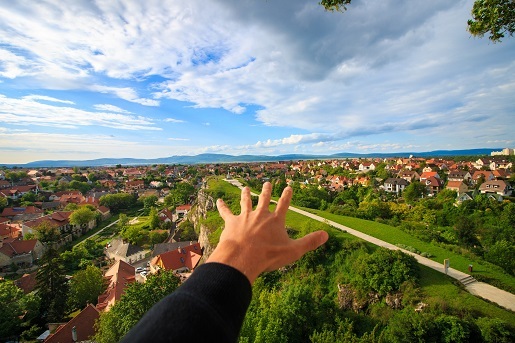 There are actually a lot more things you can do to help you save more – you just have to think about your priorities and make way for more important things, like for instance, purchasing a house. Your dream manor may have to wait – if you’re really committed to owning a house, it may be best if you start small then upgrade later. You may be surprised at what you can afford if you set your initial expectations low, especially for your first home. If you can’t yet afford a 5-bedroom house, why not go for a 2-3 bedroom residence instead? Especially when you’re a freelancing millennial, you can choose to live in the suburbs without necessarily affecting your work arrangement. The residential real estate is cheaper in less populated, suburban, and rural areas, and if you’re really serious about owning a house now, you might actually afford one in those locations. It’s not impossible to be a millennial and own a home. While the math says that millennials generally can’t afford to own a home given the rising house costs and stagnating incomes, there are opportunities for millennials to earn more and be able to afford their future homes. Freelancing, for one, can help millennials maximize their earning ability while allowing them the flexibility to live wherever they want – even in places where they can afford to buy their own houses.